The biological structure of men and women are not fully same and that is why some major health risks concerns are only associated with the women only. The health problems in women vary on the basis of their age. Like an early stage girl of aging, 18 will not face the same health issue as a woman of age 30. 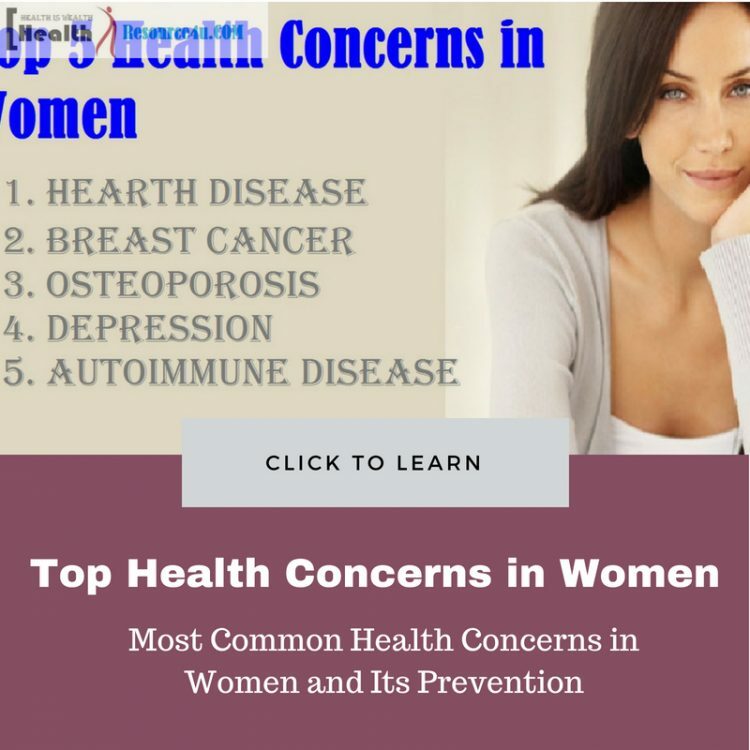 Here we have enlisted the top health concerns in women which are getting viral since few years worldwide. Previously breast cancer was the biggest health concern among women and most women were susceptible to this disease but with the progression of time, the variation in health-related issues is seen. Previously the diseases which used to be mostly seen in men only, now spread over and susceptible to women also in the equal or more than equal rate. These health concerns impact the health and life of women badly and they no longer be able to live a normal healthy life like before. 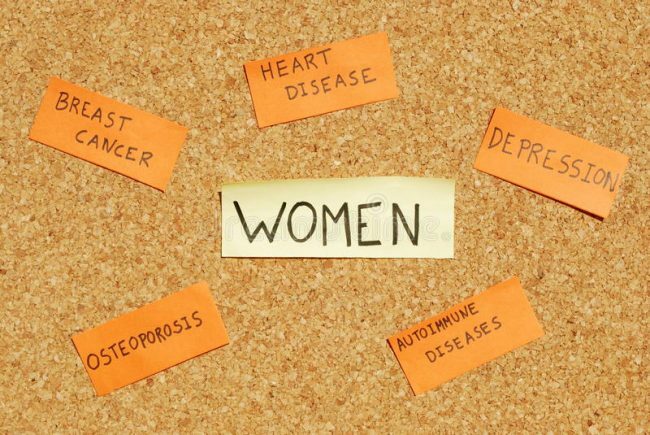 Here we will discuss some most chronic and life-threatening diseases in women. A woman gives birth to babies for which her internal structure is completely different from men. This reproductive process is a long journey which starts from the period and ends with the menopause cycle. 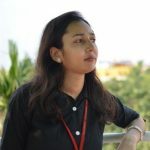 Under this whole journey, she has to suffer from various natural, physical as well as mental stress and this is the reason the range of major health concerns are very high in women and more than the men in general. Below we have described some viral health issues among women. Breast cancer and the skin cancer are the most common kind of cancer which is found in women only. As a woman ages the risk factor to these major health concerns increases. The harsh rays of sun carry UVA and UVB rays which is harmful to the health of women’s skin and UVB rays are the reason for skin cancer. That is why it is suggested to use SPF protected broad spectrum creams in order to avoid skin cancer. Another type of cancer which only happens in women is cervical cancer. This occurs in the lower uterus which causes severe cramp and discharge of abnormal flows. Ovarian cancer is another woman specific cancer which originates in the fallopian tubes. Early stage detection of these health concerns is good for preventing them to be viral. At least once or twice in a year every woman should go through proper check-up up to confirm whether this terrible health concern is developed or everything is ok.
After cancer, another chronic health concern which is found among women is heart diseases. In older times this disease was limited to men only or it can be said that women don’t use to go through proper diagnosis so the existence of heart-related problems couldn’t be detected in the older times. Now lots of heart-related concern are found among women which disrupt to live a normal healthy life and this can be life-threatening too if not treated on time or if consciousness and awareness are not maintained. Now approx. 25% of women worldwide are a victim of death due to heart diseases. Among heart-related problems the most common one is Coronary Artery Disease (CAD), in this health condition clotting or plaque generated in arteries which disturbs its function to provide blood flow in the heart. The blockages in artery affect the heart functioning and the heart’s pumping rate is reduced than the normal limit. Heart disease also causes difficulty in normal breathing and this particularly happens because of artery blockage. With a healthy lifestyle, regular exercise and nutrient dense diet one can prevent the risk of heart failure and other heart-related problems. The Lower Respiratory Diseases are for lifelong time and this chronic disease is life threatening too. Also, it hampers the normal living of the affected woman. Some chronic respiratory diseases which can even cause death to the concerned person are chronic bronchitis, emphysema etc. These chronic lungs diseases occur due to extreme smoking by women. Smoking is dangerous for the lungs health as slowly it burns your lungs and causes difficulty in its normal working process. Stroke is a fatal health condition which causes death and disability in the affected women. The number of women’s death due to stroke has increased tremendously in last few decades. Due to blood clotting, the flow of blood to the nerves connecting to the brain is stopped and this causes stroke which is a life-threatening health condition. If you are observing symptoms like dizziness, low vision, comprehension problem, numbness on the face. Weakness, unbalanced walk, and coordination problem then immediately contact the doctor as early-stage treatment can prevent its dangerous effect and can save your life. Also, with some healthy living style, you can save yourself from the danger of stroke. Type 2 diabetes is the most common one and severe too which actually causes more vital health defects like loss of limb, blindness, heart issues etc. Obesity or overweight, high cholesterol, and blood sugar level are some primary reasons for diabetes. With some healthy lifestyle and daily exercise routine followed by healthy diet can help you to reduce and control your blood sugar level. If any woman has any family history of diabetes issue, high blood pressure and kidney disease then that particular woman is associated with the risk of kidney disease and other genetic diseases. Through urine test, the severity of kidney disease can be detected which should be conducted every year especially when you are growing older. Kidney damages happen over the long course of time so you get enough time for its treatment. Also by avoiding factors causing kidney damaging you can improve the life and health of your kidney. Depression or anxiety is the leading health concern which is spreading like a fire around the world and the worst part of this mental disease is that the women are the bigger victim of this disease with comparison to men. Sudden fluctuation in one’s life causes mental stress to them if situations are not going positively or as per one’s expectation and this slowly leads you to the depressed mental condition. In women, this mostly happens after the baby’s birth known as “baby blues”. This particularly happens as because of the increased pressure of responsibility towards the newly born baby, family and professional sector. Apart from this while perimenopause stage too which is a prior stage before the menopause cycle, most women becomes a victim of depression or anxiety. With proper mental support by family members and friends and by increasing social activity and involvement one can reduce the risk of depression and can also get rid of the depression issue completely. Septicemia is a kind of infection which occurs in blood that makes your blood poisonous which is a dangerous health concern. The blood gets poisonous due to harmful bacteria this is the reason it is also known as bacteremia. The septicemia generates due to an infection in some other body part which slowly spreads in blood. This is an emergency medical condition which requires immediate treatment in order to prevent its dangerous effects. The Cardiovascular disease is one of the top health concerns in women. If your family has a history of this disease or if your blood pressure level and cholesterol level is high you should not ignore it at all. Initial stage medication can relieve its harmful effects on health and also reduces the risk out of this life-threatening diseases which mainly develops due to the increased level of cholesterol and high blood pressure. As women get older they naturally start gaining weight due to changes in their hormonal balance and due to some other factors. An over increased weight can lead to obesity which is a sign of bad health condition. Obesity causes to develop some other severe diseases like high blood pressure, diabetes and heart diseases. As soon as you observe that you are gaining weight abnormally you should start implementing some healthy and natural measures in order to reduce your over body weight. As soon as a woman enters to her 30s her bone density starts decreasing naturally and this gives birth to other bones related health concern like the pain in joints, swollen, tender bones which can easily get fracture even with a light hit. After menopause, the risk of bone fragility remains very high. So consume healthy diet intake which can fill the scarcity of calcium which is a vital element for maintaining your bone’s strength and density. Consume adequate quantity of food containing vitamins and calcium. Also, some other healthy regular workouts can improve your bone’s health. The life-threatening diseases are the major health concerns which cause the death of adult women worldwide. You can consult with your doctor regarding the severity of your disease and its associated health risk and according to that, you can apply necessary preventive measures which can save your life and will also help you to live a normal healthy life. If you are smoking addicted then you must aware of this terribly bad habit which can completely damage your lungs in the long run and can also cause other health concerns which can hamper your life. So women should avoid smoking for ensuring a healthy and diseases free life. Smoking during the pregnancy period affects the health of both mother and the baby in the womb. So particularly at this time, every woman should stay far away from the cigarette. The overdose of alcohol consumption leads to many health concerns in women. High blood pressure, diabetes and increased cholesterol level mainly occur due to the consumption of alcohol by women. As much as it is possible for you, avoid the consumption of alcohol in order to ensure longevity or long life living and better health condition. If you cannot avoid completely your alcohol consumption then try to take only one glass in a day or in the interval of one day. Higher the intake of alcohol consumption greater the health risk like most kinds of cancer in women occurs due to the increased level of alcohol intakes such as breast and liver cancer. Increased body weight is no way a sign of good health condition. Your over body weight not only causes difficulty in your regular life activity but it also plays a vital role is causing fatal health concerns such as heart diseases, cancer, obesity etc. Try to maintain your body weight at a balanced level by consuming healthy and nutrient dense intake which is fat-free. Also, you should do weight loss exercise for keeping your body weight at a balanced level. Every woman should keep her body fit and energetic so that her body remains to enable to fight diseases and health concerns which is particularly related to women only. Whether it is pregnancy phase or menstrual cycle or perimenopause, women have to face some physical and mental stress naturally which are unavoidable. However, with regular body exercise, you can keep your body fit and prepared to stay strong in all these phases of your life. This is a universal fact that women are naturally prone to take more tension or stress with the comparison to men genetically. Overstress can lead you in depression which is the worst mental health condition. By implementing some healthy lifestyle changes and through engaging yourself in some productive work you can well manage to your stress level. Apart from depression stress also causes to generate other bad health conditions. So try some effective stress buster measures like meditation, yoga, exercise etc. as these will naturally reduce your stress level. Don’t underestimate to your health even a small health hazard can take a big complicated form of the disease. For better care and healthy living life, it is important for every woman to stay aware of the top health concerns in women so that they can protect themselves by applying necessary preventive measures.